AddisNews: The United States government asked to release all recently jailed journalists and others by the Ethiopian government. The White House expressed its deeply concern with a press statement through the National Security Council Spokesperson Ned Price who praised the country for it’s recent release of bloggers but again start arresting more journalists and others in the past few weeks. 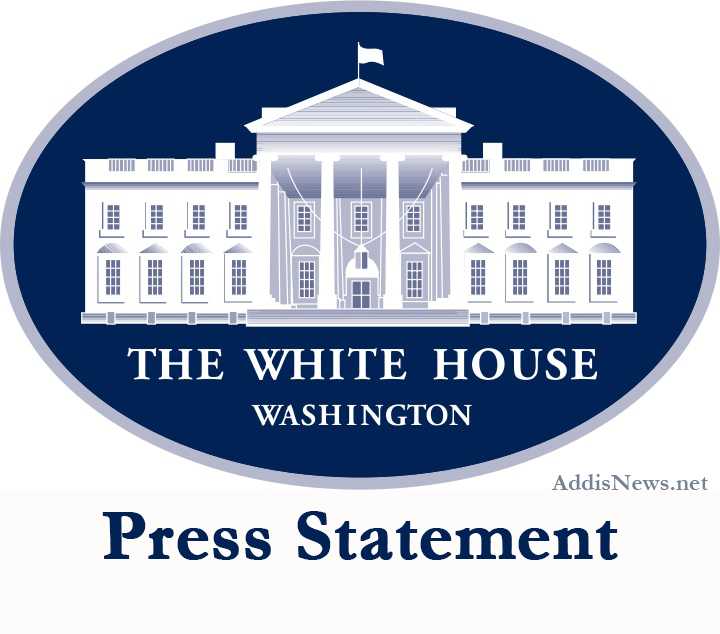 The White House urge the Ethiopian Government to release journalists and all others imprisoned for exercising their right to free expression and to stop using its Anti-Terrorism Proclamation as a mechanism to silence journalists, bloggers and activists who criticize government policies. The Ethiopian government forces detained thousands of people including prominent opposition leaders, journalists and social media activists who voiced their concern and government forces response on protesters following the recent protest in most of the Oromia region against the Addis Ababa Integrated Master plan which aimed to join nearby cities from the Oromia region to the capital city. Read the full White House statement below. Having welcomed developments in Ethiopia earlier this year–including the release of several detained bloggers–that suggested increased protections for the fundamental right of free expression, we are deeply concerned by the recent arrests of other journalists in Ethiopia. We continue to urge the Ethiopian Government to build on earlier developments by strengthening free speech protections and broadening democratic progress, and note that the continued stifling of independent voices will only inhibit such progress as well as development and economic growth. The United States has consistently applauded Ethiopia for being a model and a voice for development in Africa, but such gains must rest on a foundation of democratic governance and respect for human rights if they are to be sustainable. We urge the Ethiopian Government to release journalists and all others imprisoned for exercising their right to free expression, to refrain from using its Anti-Terrorism Proclamation as a mechanism to silence dissent, and to protect the rights of journalists, bloggers, and dissidents to write and speak freely as voices of a diverse nation.